When you’re on the track pushing your absolute limit, there’s no better feeling than knowing you’re completely safe. We don’t plan for accidents, but we can prepare for them. Rennline’s full line of fire extinguisher mounts and quick disconnects paired with our amazing selection of driver gear is here to do just that. We want to make sure you’re safe so all you have to worry about is driving fast. 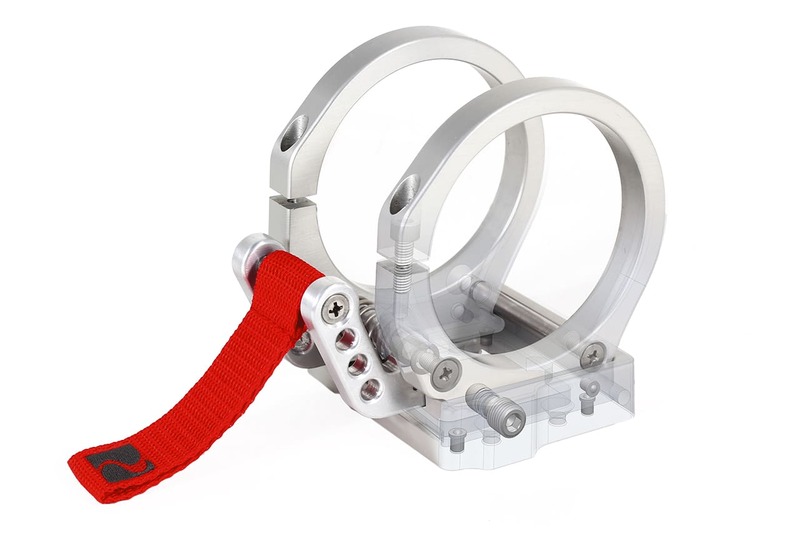 Designed with the racetrack in mind, our Quick Release Fire Extinguisher Mount is a true metal-to-metal mount which meets all sanctioning body requirements and works with all 3 inch fire extinguishers. No one is planning on having their car light on fire at the track, but like your mother always told you, it’s better to be safe than sorry. 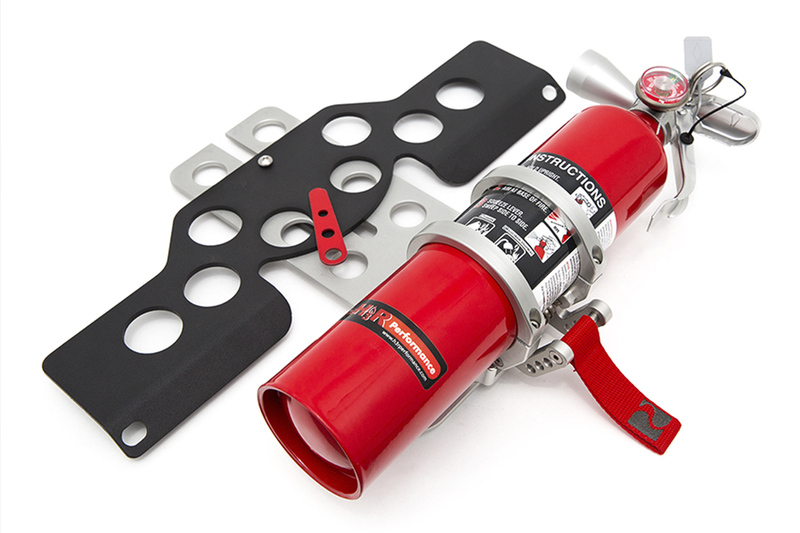 Fully CNC machined from aerospace grade aluminum and assembled with stainless steel hardware, our FE12 Mounts are designed as a direct bolt on for all Rennline and most aftermarket fire extinguisher mounts. Unlike any extinguisher mount on the market, this two-piece design allows you to remove all visible components in seconds to revert to a factory look. While other rail mount systems are fixed and limit your seat travel, our EZ-Adjust Slider allows you to make a wide range of seat adjustments on the fly. Installs in minutes and is designed to fit all types of seats, from lightweight manual race seats to the most complex electric seats from Porsche. This is the kit version and comes with either a HalGuard or MaxOut extinguisher from H3. You don’t eat a burger with just two pieces of bread and a slice of cheese, right? That’s the same reason you don’t get our amazing fire extinguisher mount and quick release without pairing it with an incredible fire extinguisher from Safecraft. We love these the extinguishers. The Safecraft hand held line has a machined billet aluminum head and lightweight aluminum bottle. 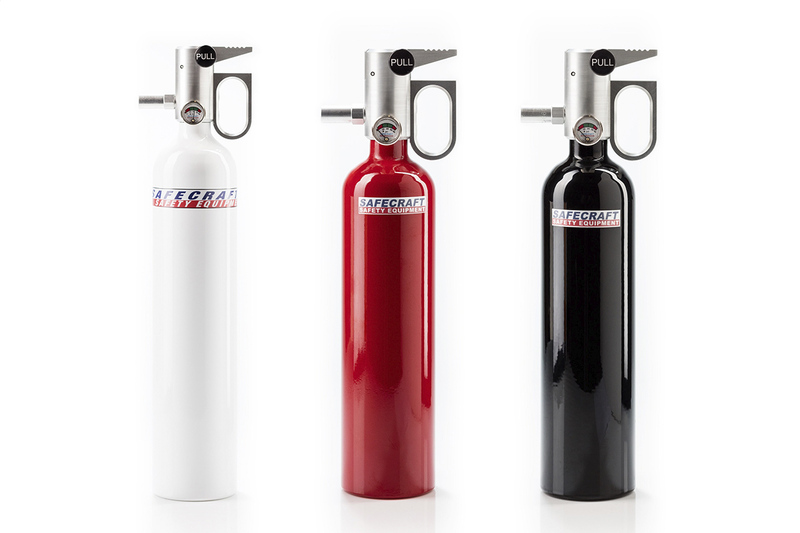 The hand held line utilizes all the same materials and technology put into all of Safecraft’s fire suppression systems used by all the top teams in NASCAR, NHRA, SCORE, and Lucas oil. Rennline's stainless steel folding race hooks install in minutes on any Porsche with factory screw type removable tow hooks. 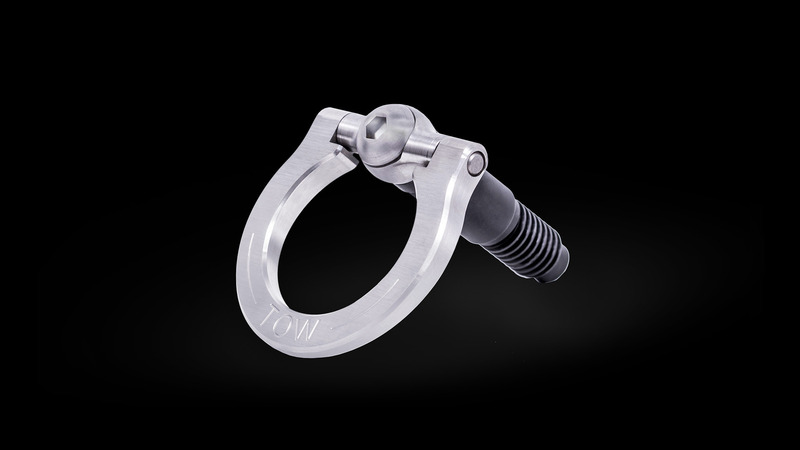 Unlike the aluminum units on the market that are usually advertised as "for decorative purposes only", Rennline's stainless steel tow hooks are precision machined and will stand up to the extreme abuse seen in any race environment. These pulls have a 2" opening as required by most organized race events and screw directly into the factory bumper pull location. Each hook comes with a rubber bumper to be applied on the back side to insure your bumper cover will never get scratched from hook contact. Keep the corner workers and track officials happy by installing a set of hooks that are both highly visible and highly functional.